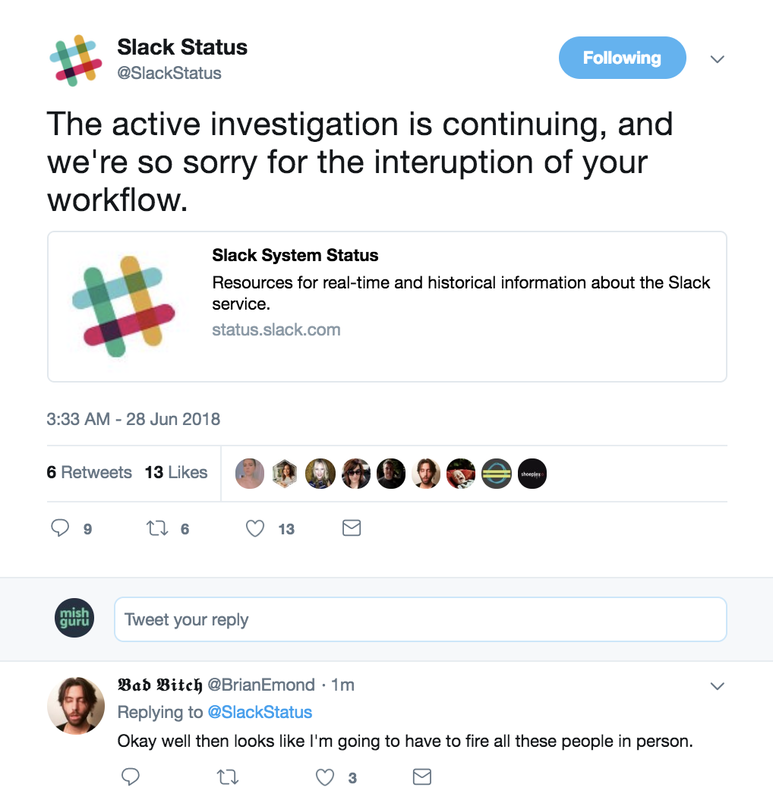 As startups, storytellers, and people that generally work on stuff, we all use Slack. It's where work happens, as the tagline goes. 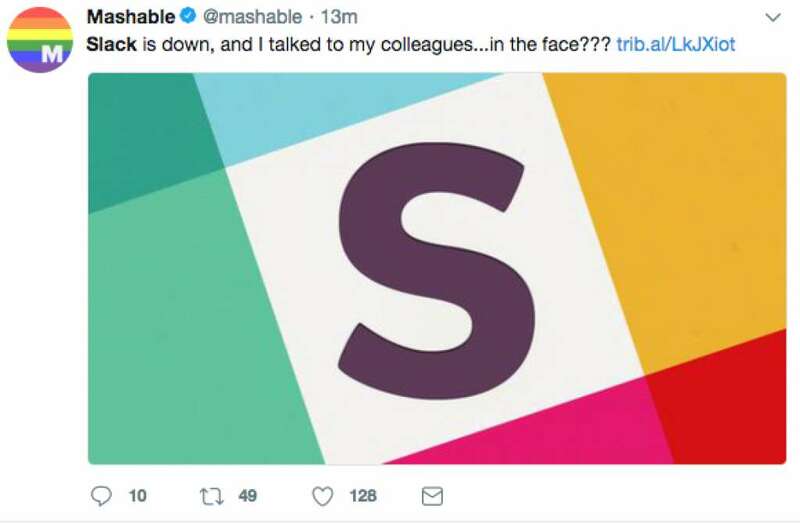 But what happens when it breaks? 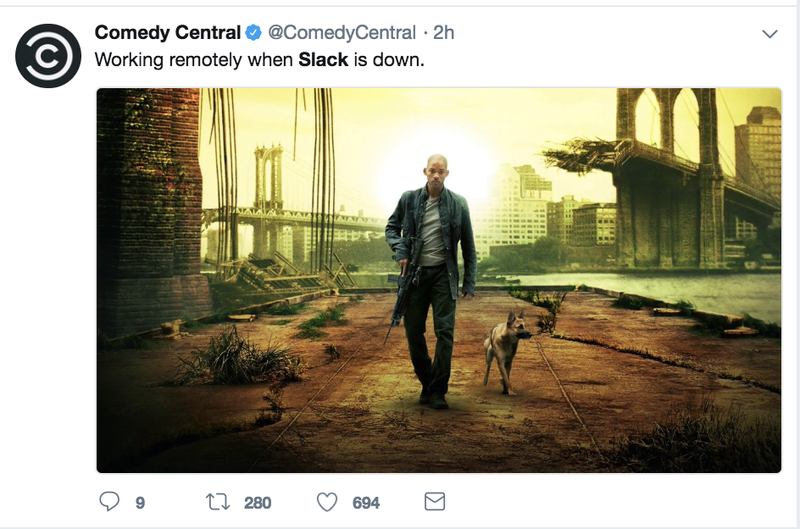 The internet reacts, and shows up in the best way they know how: with great Tweets. 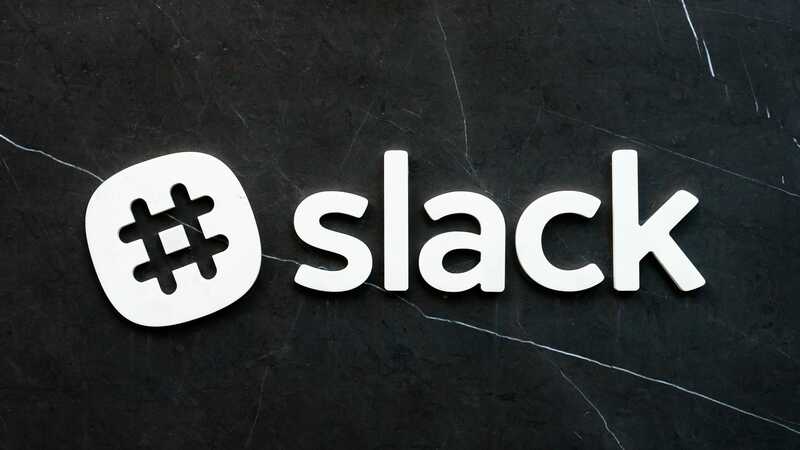 While our own Slack was down, we rounded up the best ones.